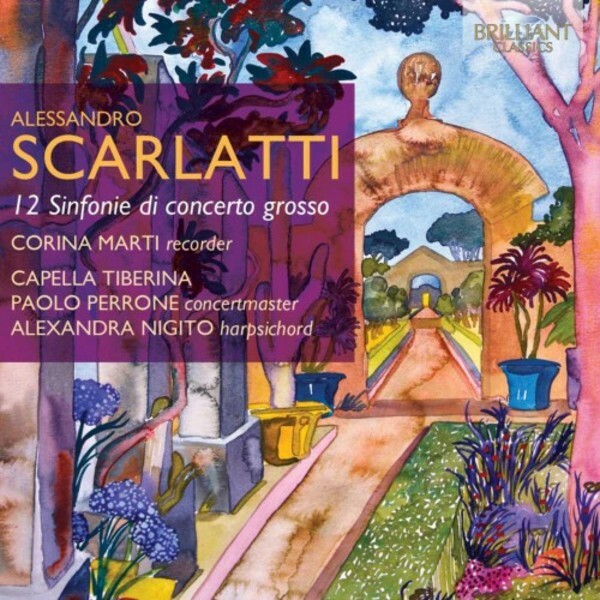 After being kept in relative obscurity, the music of Alessandro Scarlatti is making a glorious come back, and is recognised as at least as innovative, brilliant and profound as the music of his son, the famous Domenico Scarlatti. These '12 sinfonie di concerto grosso' are concertante works, either for a variety of solo instruments (concerto grosso) or for solo recorder and strings. These are delightful baroque concertos, brimming with energy, Italian charm and gusto. They are played by the Early Music group Capella Tiberina on historical instruments, with Corina Marti as the recorder soloist, who excelled in her recording of the Mancini recorder concertos on Brilliant Classics (BC94324).